The kitchen sink doesn’t have to be a dark pit that often remains untouched as it continues to accumulate dust and an assortment of odd items. 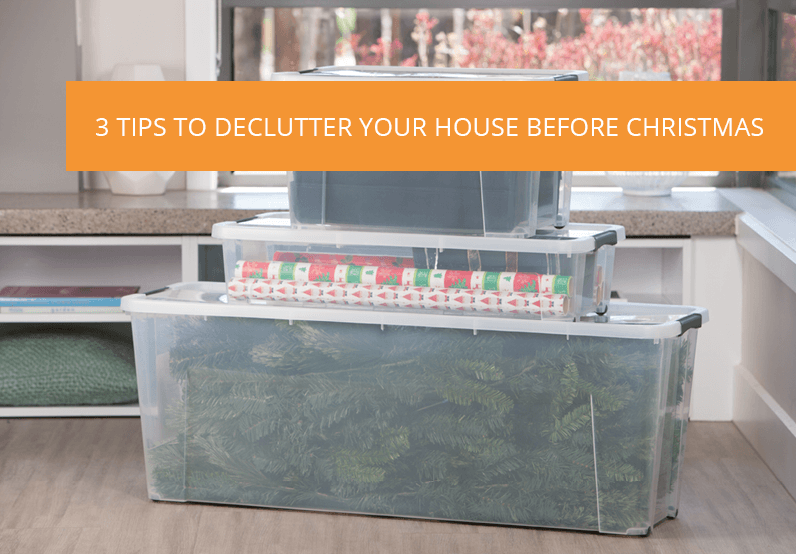 It’s time to declutter, clean and turn that wasted space into neat and tidy storage for your cleaning products. 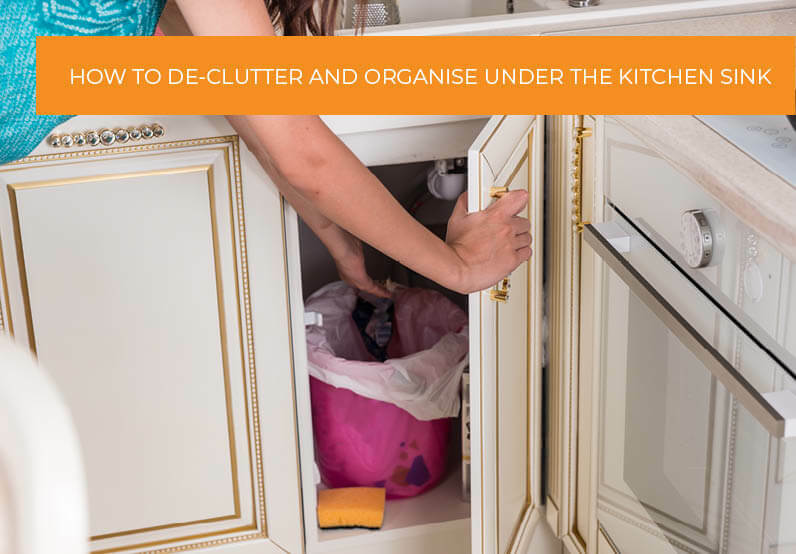 We’ve put together a few steps to help you organise and de-clutter the space under your kitchen sink in minutes. Cleaning products may be harmful on your skin, so put on your rubber gloves before you use or touch any cleaning products. You also don’t want to ruin your floor with chemicals, so it’s worth protecting surfaces like the floor and kitchen bench, just in case. It’s time to pull out everything that’s under the sink currently and lay it down in plain view. Dispose of anything that’s empty, expired or leaking. Do your research before throwing anything away or pouring any chemicals down the sink. Some chemicals are potentially dangerous and may be corrosive. If you have multiples, consolidate the items. If there are products you know that you will never use pass them on to a friend or family member. While the cupboards are empty, it’s a good time to give the inside surfaces a quick wipe down with a disinfectant spray or a natural cleaner. If you keep your rubbish under the kitchen sink, it’s worth cleaning all of the walls too. Disinfect any sponges by moistening them and microwaving on high for one minute. This will help to kill off any nasties. 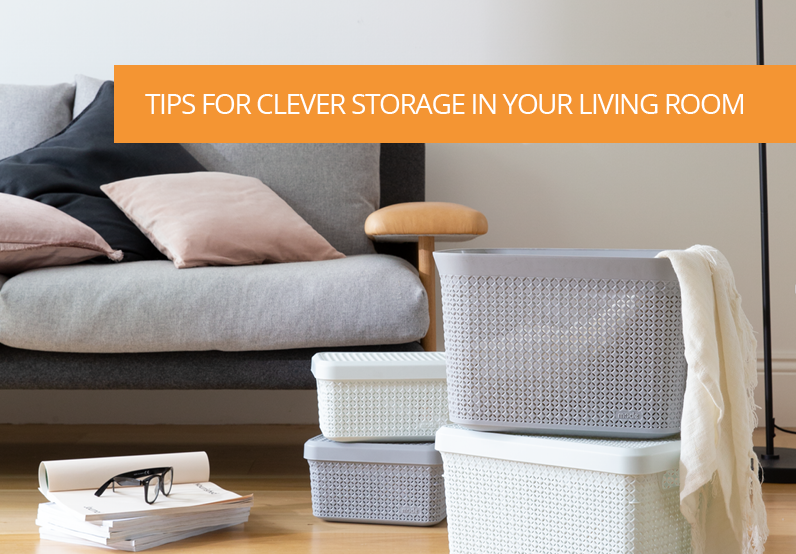 Once your cupboard is clean and dry, you are ready to organise all of your items. 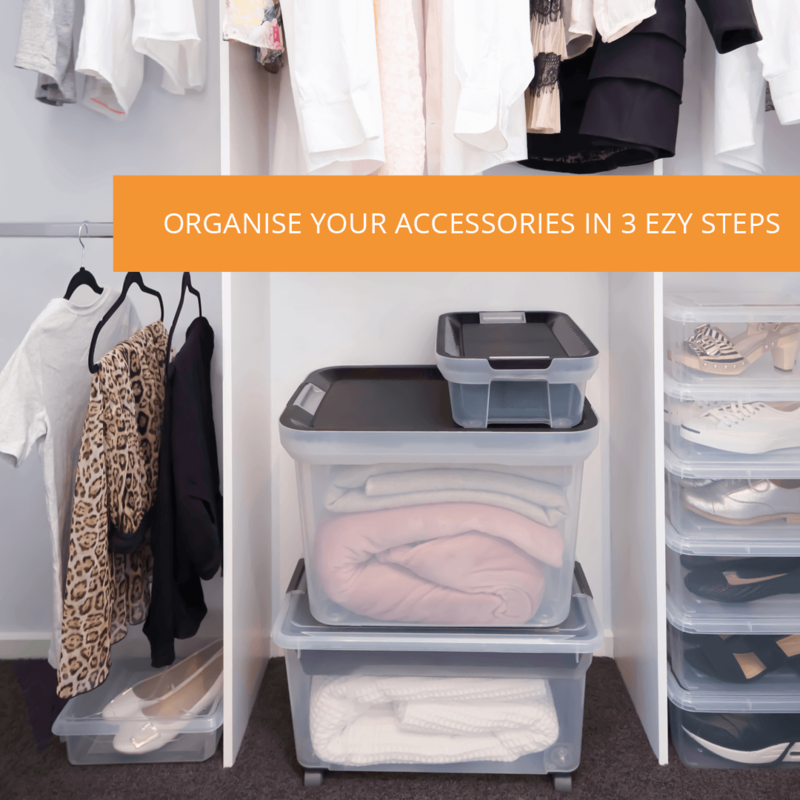 An easy way to make the most of your limited space is with an Ezy Storage Cleaning Caddy. With its minimalist look, lightweight and gripping handles, the Cleaning Caddy is also easy to carry around the house when cleaning. 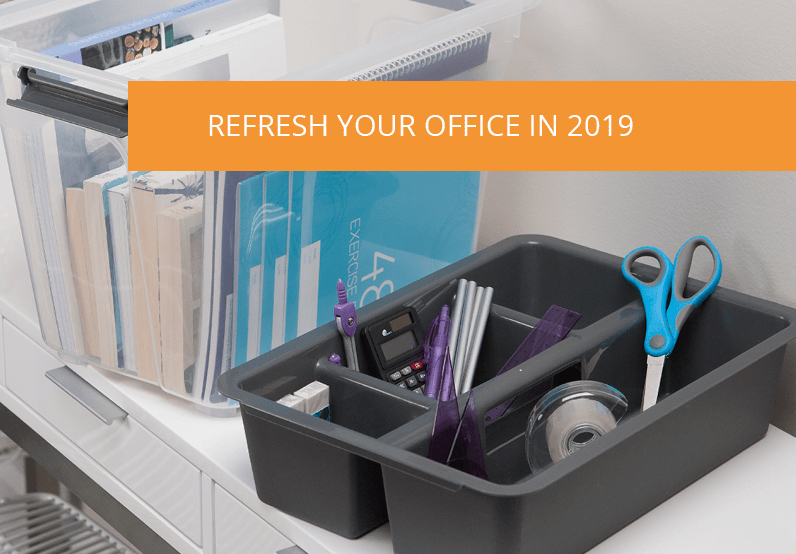 Divided into two compartments, this storage solution is the perfect way to create a neat space and to access your cleaning supplies with ease. We suggest you store all of the commonly used cleaning products in the caddy so you can pull it out with ease whenever you need. Less commonly used products, for example, oven cleaner can be stored behind the caddy in those harder to reach places as you don’t clean the over weekly… or do you? If you have any excess products that don’t fit under the sink, consider storing them in one of our 12L Multipurpose Tubs. These are a laundry lifesaver! 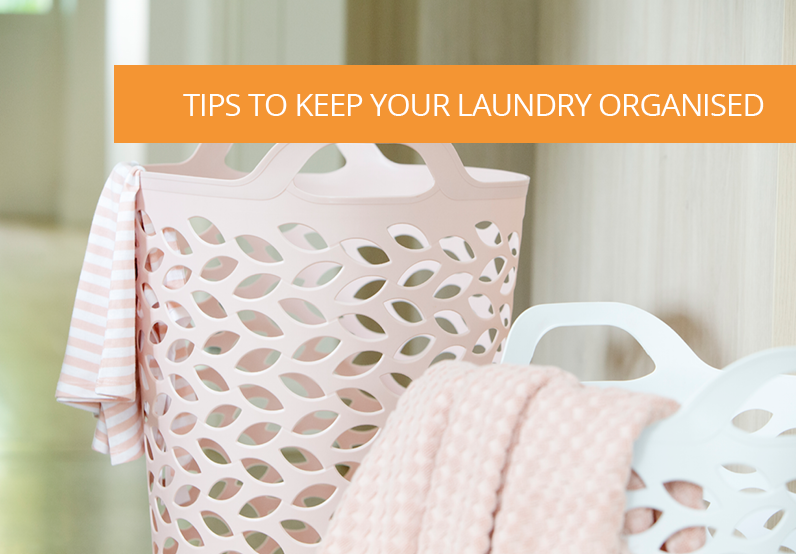 Complete with a handle, you’ll be able to store your products upright neatly away in the laundry, or even the garage. With a little maintenance, you’ll be able to keep those cupboards under the kitchen sink neat and tidy for years to come!